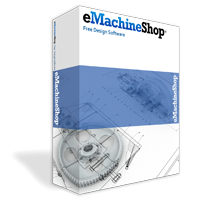 eMachineShop manufactures low-cost prototype and production runs of custom parts. We offer Waterjet Cutting, CNC Milling and Turning, Injection Molding, and dozens of materials. Packed with features experienced CAD users need, yet simple enough for beginners to use. Get a fast price quote for your prototype or production-run of custom parts.